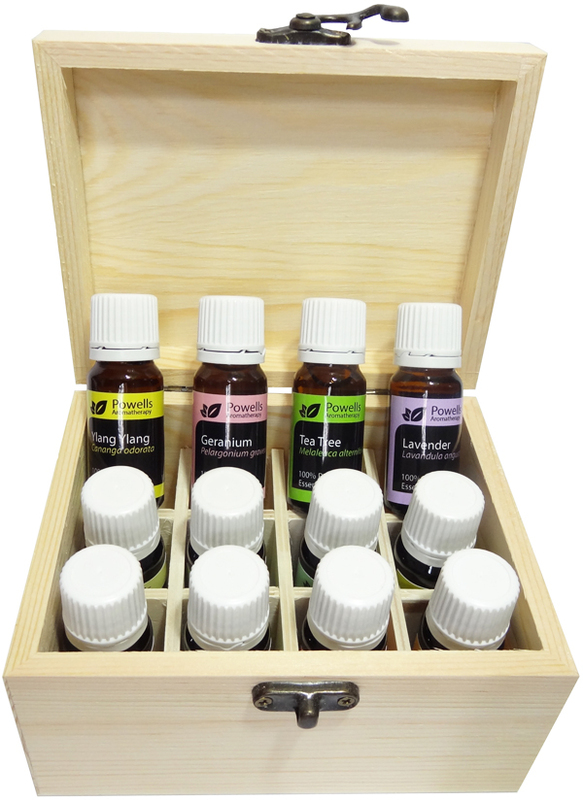 A full 10ml of each of the following 12 pure Essential Oils and a 12 slot hand-made wooden box, saving 10% on the same oils and box if bought individually! Lavender, Tea Tree, Eucalyptus, Peppermint, Rosemary, Ylang Ylang, Clary Sage, Geranium, Jasmin (5% Dilute in grapeseed oil), Sandalwood Amyris, Patchouli, Lemon. In Amber bottles or Cobalt blue for a small supplement.